Oishi Marty's Invites YOU to Rock 'en Roll! Oishi's very own Marty's Vegetarian Chicharon is calling all Filipino college students, 16-25 years old, living in Metro Manila within school year 2012-2013 to showcase your talents in a different kind of rock 'en roll! Drop your notes, textbooks and energy drinks; school's still in but The Marty's are coming! In it's very O, Wow! fashion, Oishi is giving fresh music talents a new reason to rock this semester, with a battle to make it big in the music scene as The Marty’s. Hold your horses, because this is a different kind of inter-college band face off! 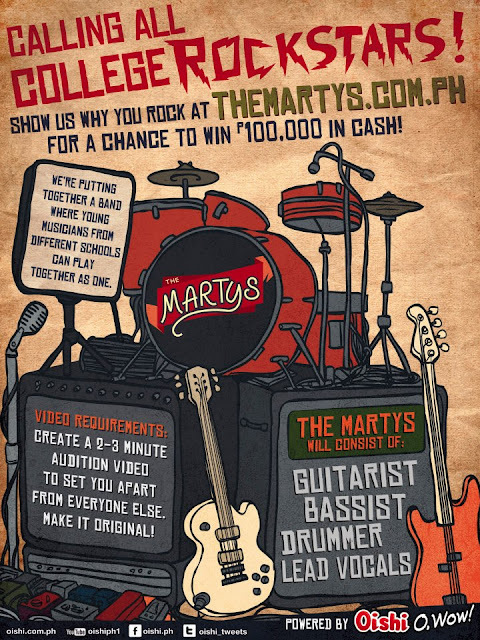 Instead of sending bands into battle, The Marty’s will bring aspiring musicians from various universities together, so they can heat up the stage and rock as one band. Simply go to The Marty's website and click on 'Apply.' Choose whether you're applying as a Vocalist, Guitarist, Drummer or Bassist. 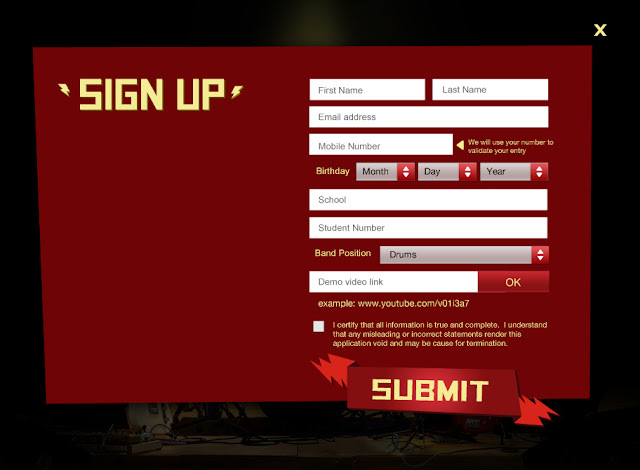 Upload a 2 - 3 minute audition video of yourself singing, playing the guitar, bass or drums to the song of your choice. Videos with offensive content will automatically be disqualified so don't be a punk. Get your family, friends and schoolmates to vote for you by sharing, liking and viewing your audition video. You should impress the judges - actor rapper Ramon Bautista, rock advocate Gang Badoy, actress Saab Magalona and rocker-director RA Rivera. Eight finalists will be chosen, but only four will make The Marty’s. The final four gets to tour as a band, win P100,000, and might just be well on their way to be part of Manila’s band scene! 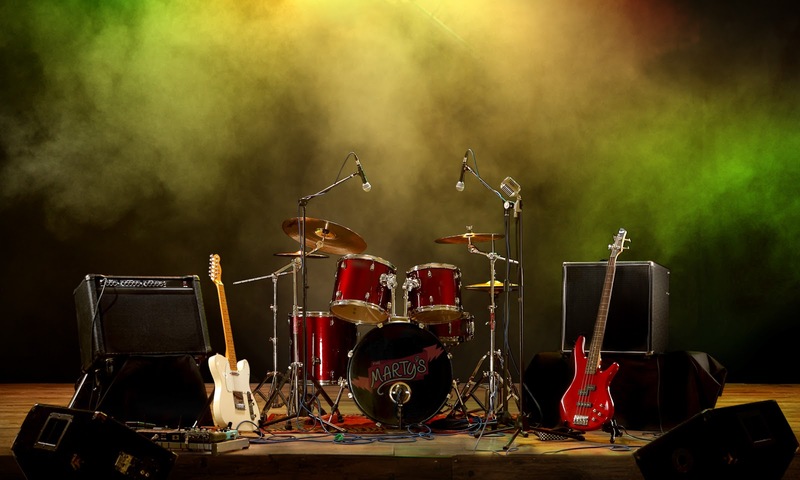 Which spotlight are you are you taking - vocalist, drummer, bassist or guitarist? Get ready, The Marty’s are here! Deadline for submission is until November 16, 2012, 11:59PM. For more information, log on to www.themartys.com.ph.